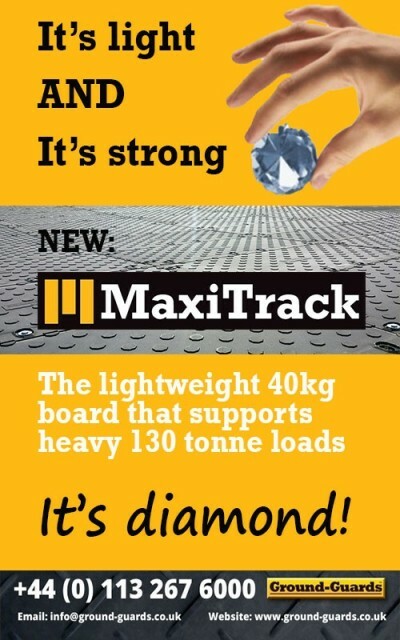 MaxiTrack, Ground-Guards’ new ground protection mat, is both light AND strong at the same time. Thanks to its unique Zetralene polymer blend, each mat weighs only 40kg, making it easy for two workers to handle. And yet it is so strong it can support monster loads of up to 130 tonnes! In fact, we guarantee it unbreakable at this weight. There’s no other ground protection solution like it. And that’s the genius of MaxiTrack: it’s lightweight yet it has super strength. We call it The Diamond Standard.